Monster Enforcer low-poly 3d model rigged ready for Virtual Reality (VR), Augmented Reality (AR), games and other real-time apps. Model in Maya 2018, FBX, and Unitypackage format. Textures are for PBR materials, made to work in Unity3D, Unreal as well as basic channels(metallic/roughness setup) PNG textures in 2k size. 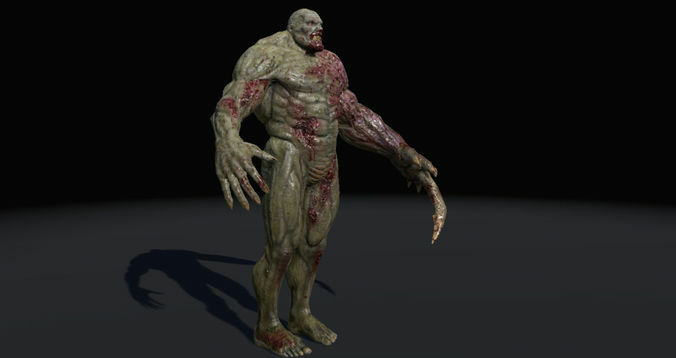 Model is skinned to a human skeleton, and work perfect with Unity3d's Mecanim Animation system. It works in Unreal too, with a bit of bones retargeting. Maya 2018 files are provided with a full rig, so you can make your own animations if you wish. Full Unitypackage file is provided also, ready to be imported into Unity3D, with model and materials set up.